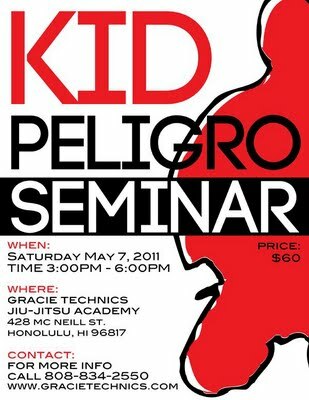 KID PELIGRO Seminar in hawaii MAY 7th!! Don’t miss the chance to learn from Kid. This entry was posted in Uncategorized and tagged arte suave, BJJ, Blackbeltsurfing.com, hawaii, jiu-jitsu, kid peligro, Marcelo Garcia, rylan lizares, seminar. Bookmark the permalink.